Due to the growing workforce demands for computer scientists, Southeast will be expanding its Masters of Science in applied computer science to include an online degree program in Fall 2019. The reason for the expansion is to help service professionals who wish to expand their skill set. Associate professor of computer science Dr. Vijay Anand noted that, although the face-to-face structure is great, but may not always be a viable option for everyone to be in a classroom and take a traditional degree program. The U.S. Department of Labor expects computer science related jobs to continue to be in high demand for the foreseeable future. Other students benefiting are those preparing for graduate studies or those students who are planning for a career but with no computer science background. The 30-credit hour online program has an affordable and flexible format according to director of Southeast Online Chelsea McNeely. She believes the online program could have both national and international appeal. The move to online also helps expand the program’s reach outside the area. The tuition fees will be $347.25 per credit hour, regardless of in-state or out-of-state status, a rate that can be attractive to students, given the accreditation. Southeast’s computer science program is accredited by the Accreditation Board for Engineering and Technology (ABET). The cybersecurity program is one of four programs accredited in the nation. 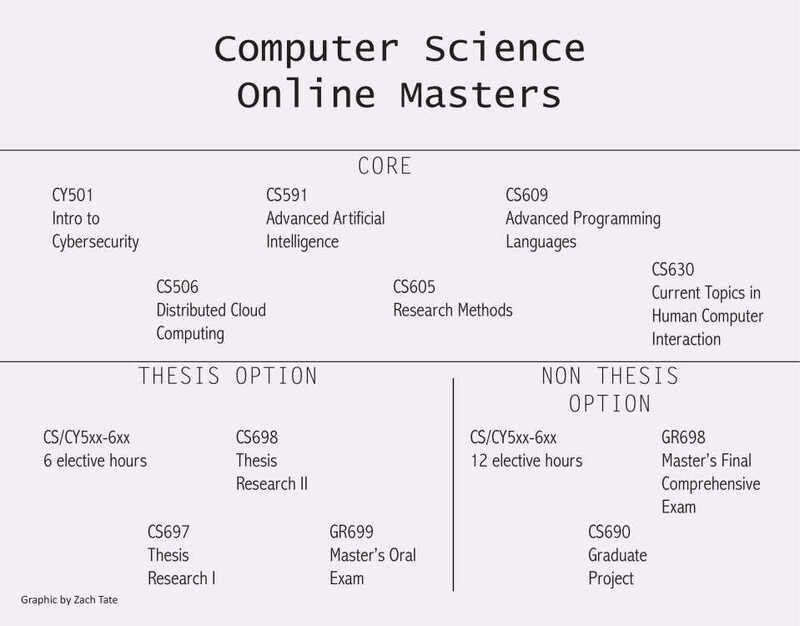 The Department of Computer Science offers three undergraduate degrees: computer science, cybersecurity, and computer information systems. Computer science has been growing at Southeast. The university added the master's degree program in the traditional format in 2017. “Through hands-on exposure to a variety of computer systems and techniques, the graduate program provides great preparation for students who are seeking careers in software-related computing fields,” Department of Computer Science chair Sumanth Yenduri said.